This is what developers do every time. Read the lines of code others have written. Other developer’s code for code maintenance. They read the same code written just few minutes back. If you want to take Do-It-Yourself approach along with this book, refer to Setting up Zlib Source and then come back to this chapter. 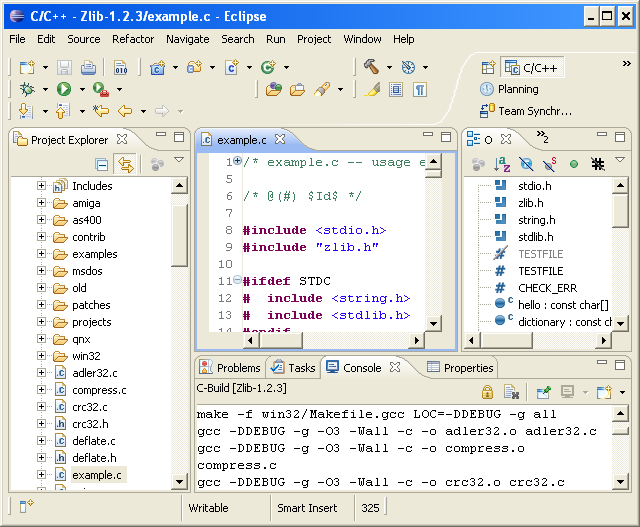 This is how an opened file, example.c would look in Eclipse.